Anna is an inspirational and vivacious Awareness Specialist and Presenter who guides people to consciously raise their self-belief, personal value and love after experiencing life-changing events that lead to burn-out and disconnection in relationships. After a vibrant corporate career in Media, Human Resources and Commercial Business spanning 20 years, Anna found herself heading towards burn-out for the second time. It was time to re-evaluate the quality of her life. During a sabbatical in Europe, Anna co-created a Western Mindfulness coaching model which became the foundation for her recovery and well-being. Ten years on, this model of healing called The Enhances Awareness Mentoring Program has a proven formula to radically shift people’s quality of life for the better. 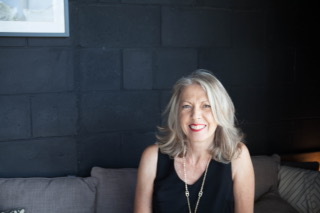 Anna as the founding Senior Mentor has positively inspired hundreds of people in their relationships, their health and well-being, soul-purpose, career choices, peace and happiness. Today, Anna is dedicated to working with courageous people who are looking for answers to the challenges they are experiencing in their day to day lives. Anna guides people to enable them to reshape their experience of life in the present and how to activate a future that respects who they are and what they believe. Cultivating presence allows them to connect with more ease, regardless of where they are, who they with or the circumstances they are experiencing. They develop a stronger, truer appreciation of their self-worth, independent of their relationship, wealth or career status or their past. They find inner peace; and this enables them to flourish. Certified Fascial Kinetics Bowen Practitioner - FK School, Australasia. In her spare time, you will find Anna hiking in foreign places, spending time with family, always happy creating in the kitchen, endeavoring to get better at yoga and writing.